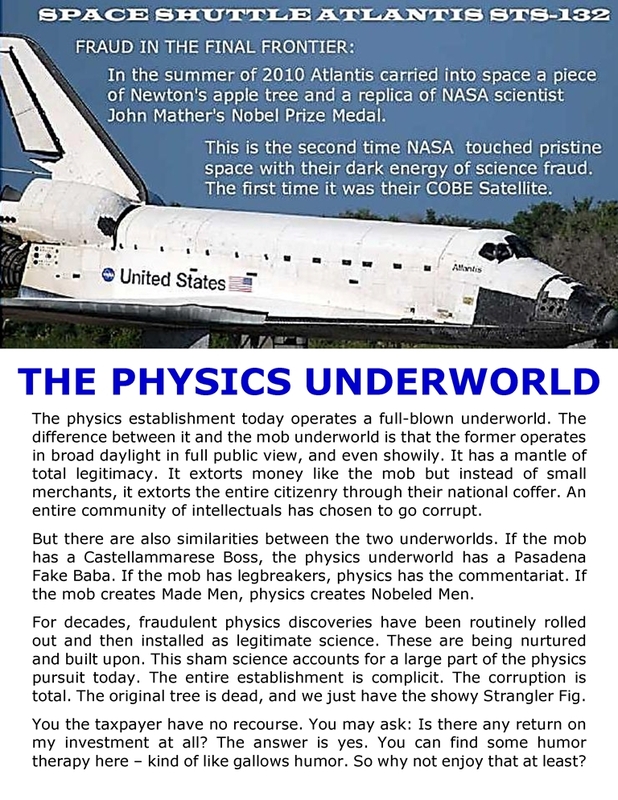 Tags:Bogus Physics Nobel Prizes, Covering up science fraud, LIGO gravitational waves, LIGO India, What did they know and when did they know it? OK folks, I just got off my burro, took off my poncho, and have started taking stock of things LIGO that transpired during my long absence. The big thing is the flap following the recent New Scientist article on LIGO signal processing. Read it here. 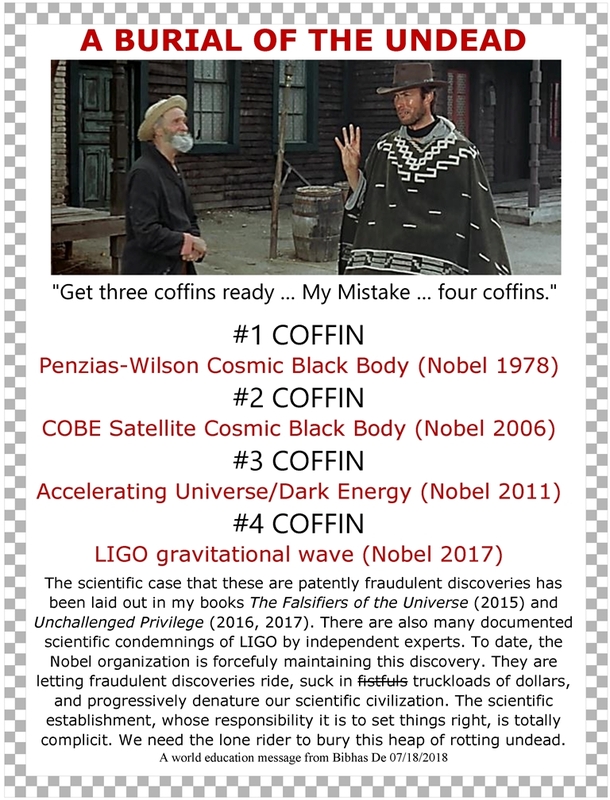 There have been very thorough and totally fatal criticisms of LIGO data processing, concluding that the LIGO discoveries never happened. The criticisms were advanced by a Danish academic research group headed by Andrew Jackson, and by Akhila Raman of UC Berkeley. Both parties have solid background in the nitty-gritty of advanced signal processing in the presence of overwhelming noise. WHAT IS STONEWALL REITZE DOING ABOUT THIS? In a word, stonewalling. He has started a very clever campaign of first distorting the nature of the criticism in the public eye, and then insisting with brute establishment power that the criticism as distorted by him is not valid. 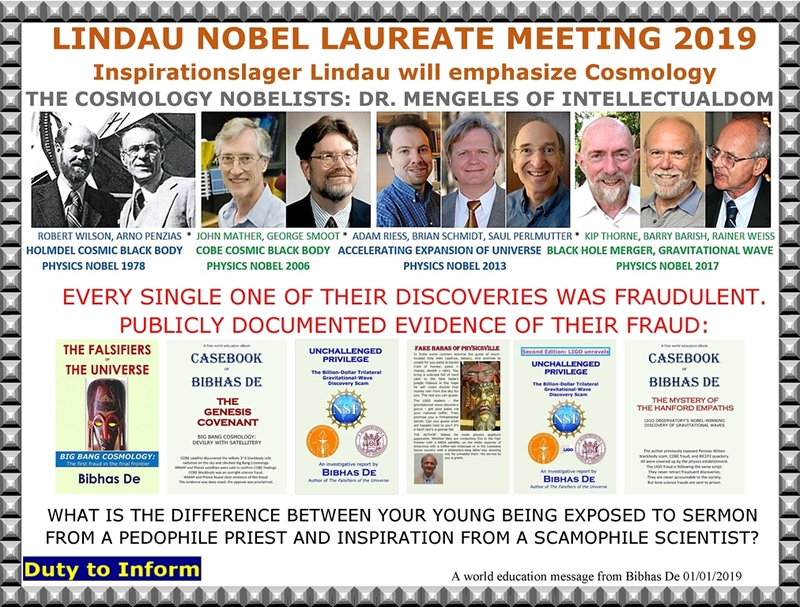 He maintains the fraudulent discoveries to be legit. 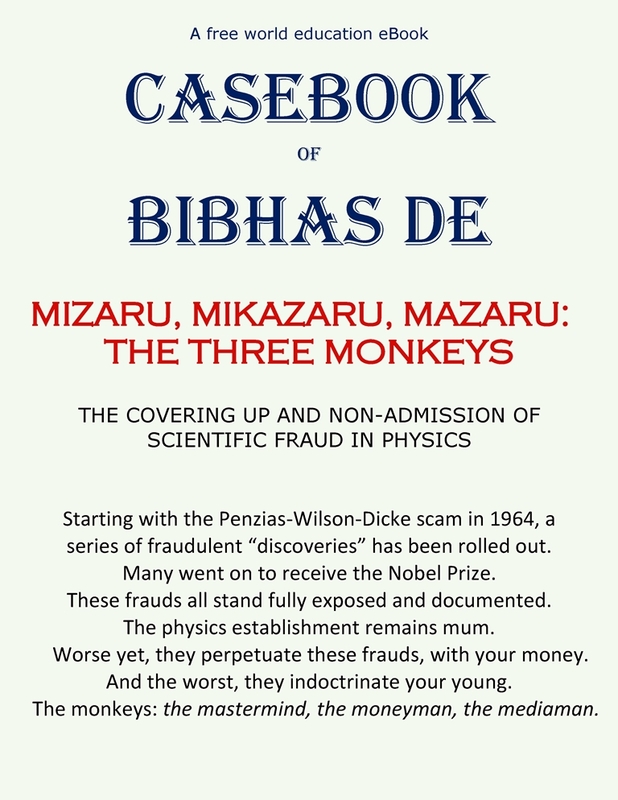 He is in fact a pioneering CEO showing the corporate world how to monetize science fraud and how to commoditize intellectual fraud. HOW DOES STONEWALL REITZE OPERATE? The LIGO camp has not addressed Akhila Raman’s criticism because no one has pressed them to. The LIGO camp maintains dignified silence on serious faults of LIGO because NSF’s France Cordova – whose responsibility it is to force LIGO to respond openly to public criticisms – lets them stay mum. France Cordova has actively promoted this fraud, and is now actively aiding and abetting its stonewalling. The LIGO camp’s response to the Danish group came after considerable public pressure. That response was very telling, and actually substantiated the Danish position. But the public is given a totally distorted view of what transpired. There have also been attempts from the LIGO camp to publicly discredit Andrew Jackson by saying that he is a CMB data analysis expert and so cannot know much about LIGO data analysis. May be next they will say Jackson is a vegetarian and so cannot analyze LIGO data. 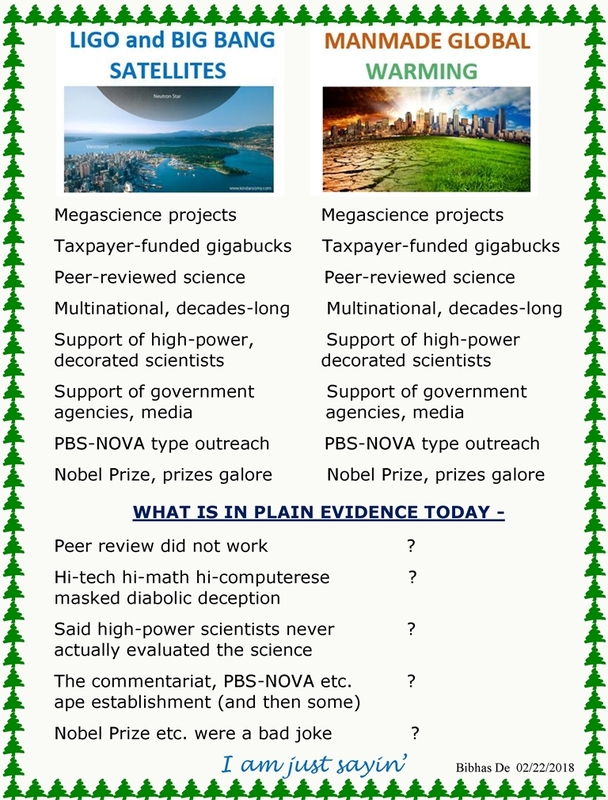 The Danish paper and the Raman papers show that the LIGO signal processing – whether through lack of competence or through nefarious design of the Ligonauts – is amateurishly wrong. LIGO discoveries never happened. In polite language of the Danes, they were “illusions”. 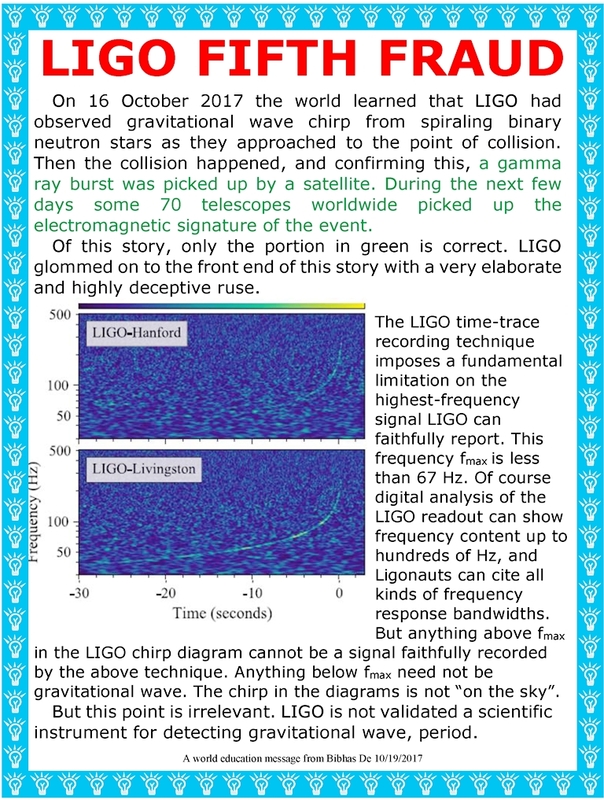 The LIGO camp and its support groups have waged a public misinformation campaign saying that all the Danish group is showing is that after the LIGO gravitational wave (GW) signals are removed from the data strings from the two US LIGO statiions, there still remains a correlation in the data between the two stations. 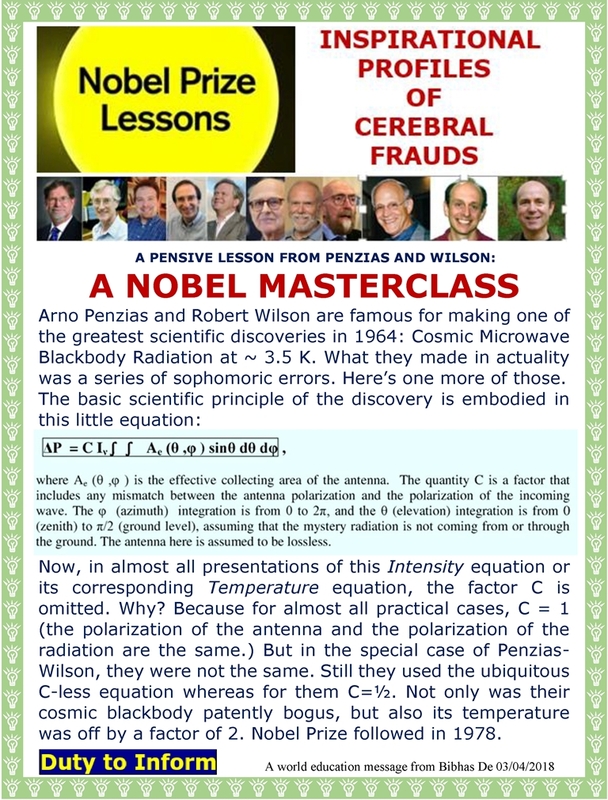 Having thus miscasted and oversimplified the criticism, the LIGO camp then dispatches it summarily with a wave of hand: Of course some correlation will remain. The signal removal is after all not perfect. The residual correlation is fully expected. Nothing to see here folks. Move on. This is a very effective strategy that makes the Danish group appear to be a bunch of simple-minded bunglers without a clue as to the highly sophisticated and uniquely specialized data analysis prowess that is needed to even begin to analyze LIGO. This strategy – aided by the media and the blogosphere – seems to be working very well. 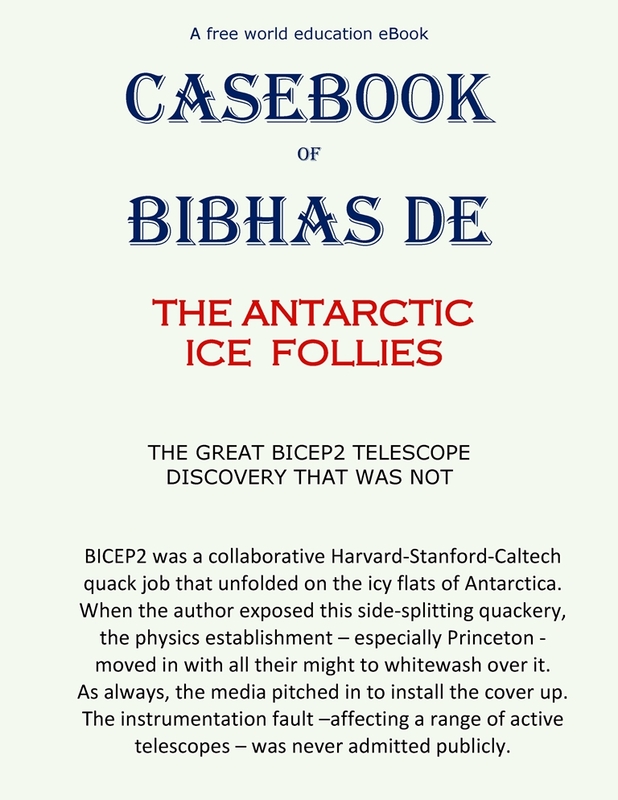 The Danes and Akhila Raman are two parties on public record as first having actually understood LIGO signal processing quite professionally, and then having seen through the LIGO fraud or the LIGO quackery. They represent a higher level of experience and expertise than the Ligonauts. A concise reading of the Danes’ position can be found here. 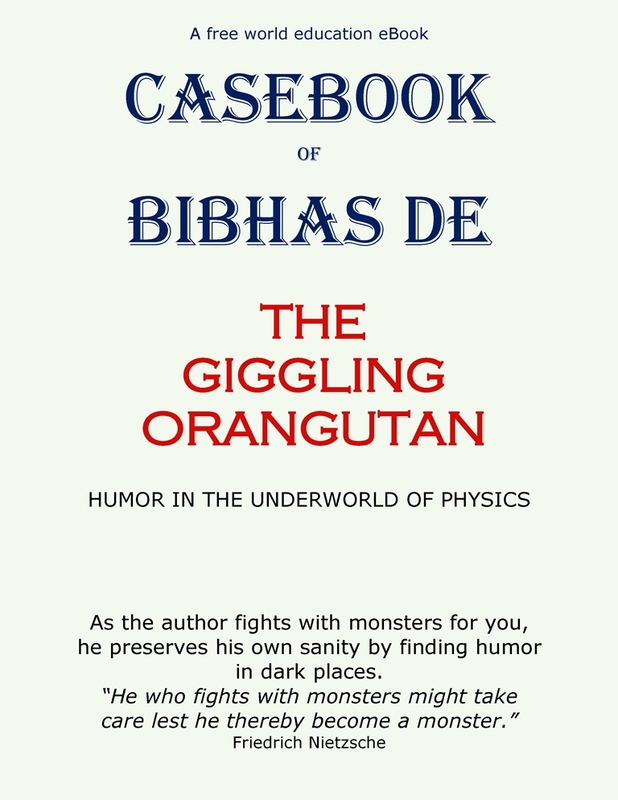 It is a solid and fatal indictment of the LIGO discoveries. Akhila Raman’s criticism may be read here. It is a solid and fatal indictment of LIGO. The LIGO camp also makes a point that they condescended to hold direct discussions with the Danish group. That’s all they say. They do not say that their man Ian Harry thoroughly embarrassed himself at these discussions, several errors in his code having come to light right there. These errors were in Harry’s analysis of the Danes’ work, and so quite possibly in Harry’s analysis of LIGO data that led to the great discoveries. Past all the tall talk of Ligonauts on how brilliant they are and how exceptional LIGO is, Ian Harry is the only manifest symbol of the true quality of LIGO data analysis. 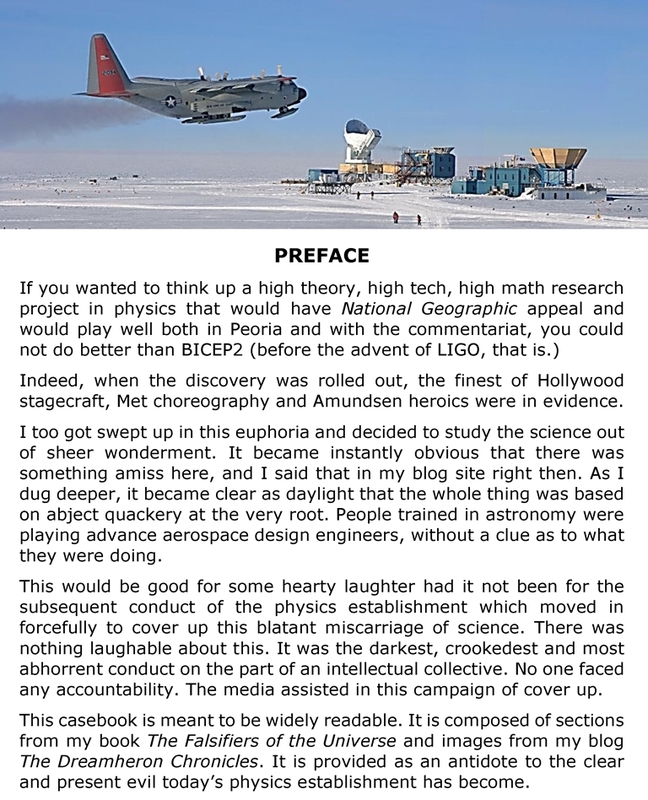 Such is the campaign of stonewalling and distortion Reitze has unleashed, with the tacit complicity of NSF’s France Cordova who is frantically ladling out dollar bills to LIGO as if they were going out of style. Reitze is using the brute-force establishment power and a tough-guy stance to ignore all criticisms and to browbeat those few critics he can no longer ignore. According to straightforward physics that I have explained, there can be no GW signal in the LIGO output, period. So the conclusions of the Danes and Raman are absolutely correct. LIGO output has no more to do with GW than it has to do with the Lord’s prayer. The LIGO Gravitation wave physics is divorced from classical wave physics. It is also divorced from quantum theory and quantum uncertainty. It is also divorced from principles of scientific instrumentation. It is also divorced from logic and reason. It is also divorced from what is on the sky and what is not. It is also divorced from the science of instrument calibration. LIGO circumvents all of these on the ground that in each case they have higher knowledge. This assertion is made believable because the Ligonauts have been defined for the world as godlike beings.